The Walker decision concerned Texas' refusal to issue a specialty license plate featuring the Confederate battle flag. State law allows non-profit organizations to request a special design, and allows the state to reject the request for several reasons, including that "the design might be offensive to any member of the public." Justice Breyer's majority opinion held that the specialty plates issued by Texas should be considered speech of Texas, and that as government speech, its decision to say or refrain from saying something (in this case, to issue a Confederate battle-flag plate) was not covered by the First Amendment. Justice Alito's dissent concluded that Texas' action in rejecting the license plate constituted improper viewpoint discrimination. He warned, "The Court's decision passes off private speech as government speech and, in doing so, establishes a precedent that threatens private speech that government finds displeasing." Reed concerned a challenge to a sign ordinance that regulated outdoor signs based on the type of speech they conveyed. Ideological, political, and directional signs were among the category types. Rejecting the Ninth Circuit's conclusion that the law could stand because the government intended no viewpoint discrimination, Justice Thomas (who somewhat atypically joined the "liberal" justices in the Walker majority opinion) wrote for the majority that "Innocent motives do not eliminate the danger of censorship presented by a facially content-based statute, as future government officials may one day wield such statutes to suppress disfavored speech." The decision in Reed was unanimous, but the Court was somewhat fractured as to its rationale. There were four separate opinions: Justice Thomas' majority opinion, and concurrences by Justices Breyer (who wrote the Walker majority opinion), Alito (who wrote the Walker dissenting opinion), and Kagan. It will be interesting to see whether the opinions, especially Reed, have any impact on recent, well-publicized disputes about whether posters critical of Islam may be placed on municipal buses. Among the cases Justice Thomas cited in his majority opinion is Matthews v. Needham, in which the First Circuit held that a law banning political signs but not commercial signs was content-based and subject to strict scrutiny. In a concurring opinion, Justice Breyer opined, "I have great concern that many justifiable instances of 'content-based' regulation are noncommercial." 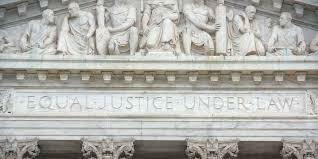 Justice Kagan's separate concurrence expressed concern that many "reasonable" signage ordinances drawing subject matter distinctions were placed in jeopardy by the majority opinion's sweeping language. Justice Alito's concurrence, which like Justice Kagan's concurrence did not touch upon the classification of commercial versus non-commercial speech, included this cautionary note: "Limiting speech based on its 'topic' or 'subject' favors those who do not want to disturb the status quo. Such regulations may interfere with democratic self-government and the search for truth." On the other hand, the buses on which posters are displayed are typically government property to some degree. Will municipalities or their transit services claim that under Walker, the speech is that of the government, which can then regulate its content without running afoul of the First Amendment?